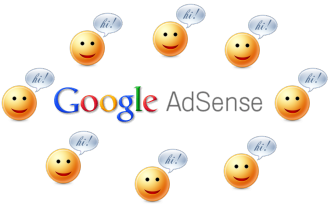 Today we will see How to Share Adsense Revenue for Multiple Authors in Blogger. To have multiple authors in a single blogger blog is very common now a days, and if your blog is having more than one author's then it is quite possible that the co-author wants to put his/her Google Ads code on their own posts. If you are using wordpress then this is thing can be achieved with Plug-in itself, but in case of blogger you need to do it manually. So below here is a hack for how you can share Google Adsense revenue with multiple authors while using blogger. If you are thinking about how to distribute or share the revenue with other authors of your blog to give there share, then the simple solution is is to show the adds of that author. Google Adsense will give him the exact revenue he deserves for doing that post. This way you can share the blog revenue with them more precisely because every author gets his own ad displayed in all the posts he/she does. Note: To know your profile id, Go to your Dashboard and click on your View Profile Hyperlink and watch out in address bar for your profile id. See below images to know more. * Go to Dashboard > Click on View Profile. * See your address bar and you will find your blogger profile ID. #Step 3. Replace blogger profile id with author's profile ID and save your template. Now when ever co-author will publish post blogger will check that from which blogger profile it has been posted and will show relevant author's Adsense code. Note: There is already a for the blogger on How to Share Google Adsense Revenue in Blogger with multiple authors, but the limitation of that hack is they are using name as a reference and if author is changing the name of his/her then you need to change the code each time. Hope you have liked this post, keep sharing this article with your friends if you like it. Let me know if you want to know something more or comment below your views about this post. Get free information related to "How to Share Google Adsense Revenue in Blogger with Co-Authors". @Bajwa, yeah it should work.